"Smart Cookies" airs on the Hallmark Channel. Winding down the two weeks of the television press tour, one of the last great gatherings was for the Hallmark network to make some big announcements. During an elegant luncheon at the Beverly Hills Hotel, Hallmark's president and CEO Bill Abbott talked about the full schedule of movies, specials, and daytime shows. 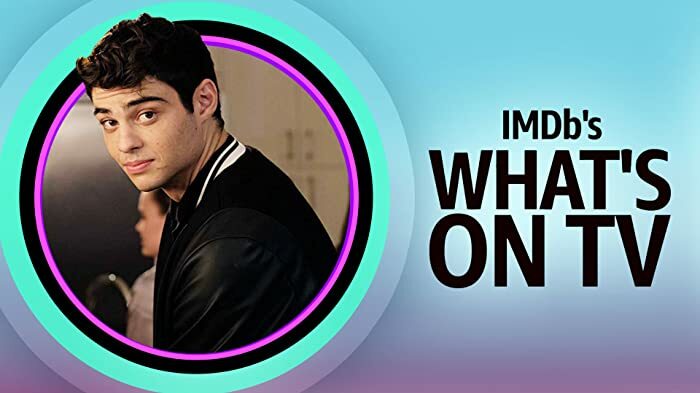 Bragging about the "incredible talent we have," Abbott looked around the room at the stars of the upcoming original movies, which are at the core of the Hallmark Channel's "robust family content. 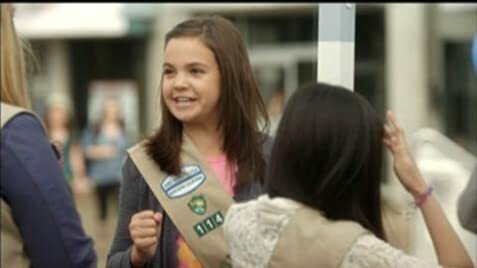 "Abbott announced that Smart Cookies, premiering Aug. 18, is another great movie with a mission, "to help celebrate the 100 year anniversary of the Girl Scouts of the USA,". Patricia Richardson (of Home Improvement fame), who stars with Jessalyn Gilsig (Glee) and Bailee Madison (Just Go With It)said "Smart Cookies" is about a real estate agent who helps a hapless Girl Scout troop with their annual cookie sale competition. Behind the scenes, executive producer Jimmy Hawkins, who was a popular child actor in the '40s '50's &'60's and played Jimmy Stewart and Donna Reed's son Tommy Bailey in the Frank Capra classic It's a Wonderful Life. "Smart Cookies" is based on Hawkins story "Be Prepared". Nowadays he's producing great family friendly movies for a new generation. Richardson said she was "so delighted to work with him because when you do a production like this, we all become like a family. He's one of the nicest guys in show business, and when you are working with children, when you have a producer who knows what it's like, it brings a great quality to the set." In 1953 Jimmy Hawkins was cast as an actor in Mr. Scoutmaster for 20th Century Fox starring Clifton Webb.. In 1980 and now a Producer, Mr. Hawkins wrote an updated story for an "NBC MOW starring Gary Coleman and titled it "SCOUT'S HONOR" . As Ex.Producer Jimmy hired Scoutmaster Director Henry Levin to do the same duties on his "Scout's Honor" Scouts Honor celebrated the 50th Anniversary of The Cub Scouts of America. In 2012 Mr. Hawkins wanted to flip his story to help celebrate the 100th Anniversary of The Girl Scout's. He got the new concept sold to The Hallmark Channel under the new title of "SMART COOKIES". Quite a journey. Mr. Hawkins was a popular child actor in the '40's, 50's and '60's. But is best known for playing Jimmy Stewart and Donna Reed's son Tommy Bailey in Frank Capra's Holiday classic, "It's A Wonderful Life", Now thats trivia. Performed during the cookie drive scene.